I tried many products to reduce my black spot but none of them gave good results, until I tried this. By using 3 masks, my darkspot already faded away and my face looks clearer. Also my skin feels very moist until the next day, and this is very recommended product! This mask is AMAZING. Affordable and I use it weekly during night time over my exfoliants and their bestselling serum (shrink & tighten plus) and in the morning my skin feel is not tight or dry or oily. It just feels soft and balanced. Yayy, I would recommend this to my friends! This is the most lovely and soothing mask. Highly recommend! Incredibly soothing & hydrating mask. luxurious feeling mask, not like anything I've ever used before. Skin surface has been infused deeply with a soothing, softening essense. Awesome for dry & acne skin, or any skin really. I have combo skin and it didn't make my breakouts worse in any way, rate it! Having a combination skin and am 35. Tend to get redness spots here and there, but this mask is my saviour. It works pretty well very fast.Fixing flaky skin overnight, which seems like a miracle. I bought two boxes of this kick me out masks recently and I had just used three pcs this week! 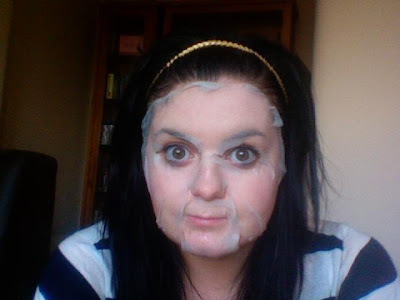 I have to say that this mask is so so effective!! It doesn't leave my face drying after each use and the best thing is that it keep my pimple away!! In addition, I love the scent so much! I can't wait to try other b.liv products! This is so so so good. I have a combination skin with whitehead, blackheads and also acne. So it does good with my acne and it also gives out this matte effect which controls my oil face efficiently. It is a must wear mask, I wore it every week now. I could tell u that difference it spectacular. I am a big fan of bliv products. It surely help my skin a lot. Suitable for combination skin type. It can Heal acne. Helps soothe and alleviate acne. Acne visible reduced after few application. Highly recommended. The second time I bought this product. Totally in love with it. Keep the skin moisture and kick spot out! Finally I reached this product after so long time. I love it's smell, smell like jelly and contain so much of essence! 26ml/piece, more than what market place sell. Buy with points really save a lot. Definitely love it. I bought this mask after learned that off with those head works effectively on me. I used it twice a week. During the usage of one months, combination of off with those head and kick spots out kept me free from breakout! Even thought there are still some small pimples appear sometimes, but it is really small and disappear after few days. I think this mask is amazing as it is able to treat acne while deeply hydrating. I bought this for my husband, he has acne problem for so many years. He is so funny after putting on the mask, he feels like cannot move~ This is the first time he ever used mask. 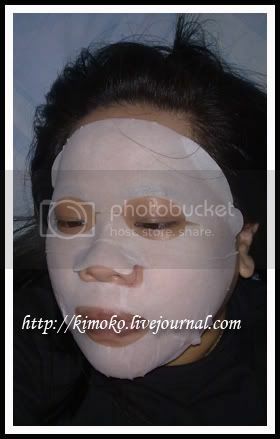 And his skin became quite smooth, the acnes become less redness just after one time usage. I told him to use this every two days, hope his acne problem will totally vanished after 14 days. I use this mask about once every 2 weeks. I have slight acne, so about every 2 weeks ill pick, pop, and pluck and once I'm done I use one of these masks and it helps make the redness and any irritation go away. I've noticed less returning pimples from using this mask as well! Would recommend this product, it's always nice to get me time and relax with a nice mask!!! The great love! First, remove acne effect is good, it can fade acne printed after using it at the same time, acne around not red and swollen. Then it is very hydrating oh, won't make the skin feel very dry, the whole people look brand-new!